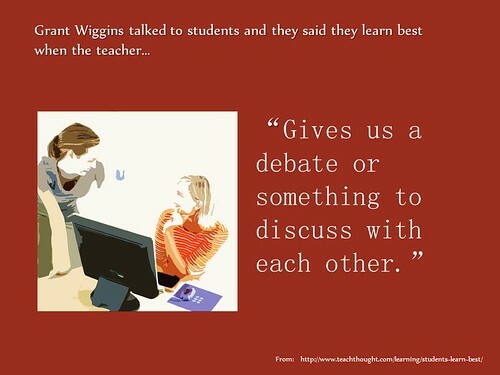 Educational Postcard: "Students want to talk and debate what they learn." Quote from students compiled by Grant Wiggins. Image is modified from a Microsoft Clipart file.